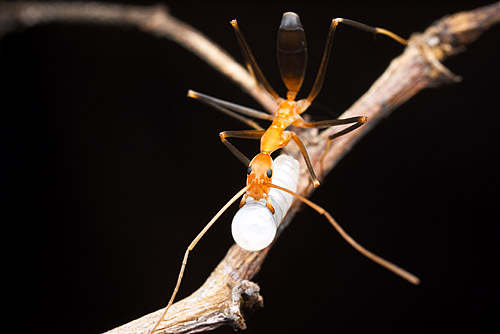 Driver ant males are astoundingly strange creatures. 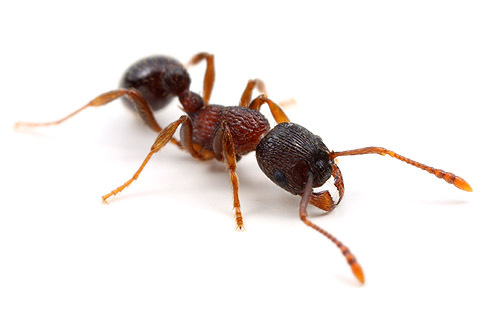 They are larger, more muscular, more exaggerated than most other male ants. The reason is likely linked to the behavior shown in the above video: males must first be accepted by a gauntlet of choosy workers. A classic paper by Franks and Hoelldobler (1987) describes the theory. This preference of workers for bulkier males- and a corresponding slaughter of smaller or otherwise unsuitable ones- drives an evolutionary trajectory towards increasing monstrosity. It’s an ant version of the peacock’s tail. Last summer I replaced the old covering on our porch roof. When I peeled back the rotting shingles, I was greeted by a frenzy of frenetic brown ants- thousands of them- running about every which way. Dozens of fat queens scurried for cover. It was an impressive display of formicid infestation, reminiscent of the swarms of invasive Argentine ants in California. But these weren’t exotic pests. 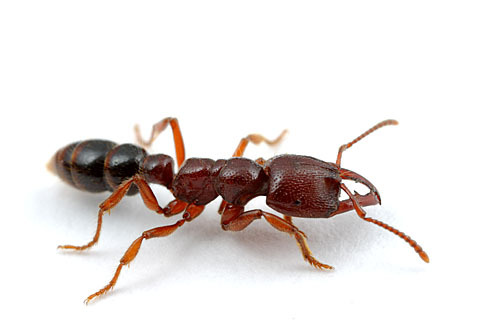 This was a native species, Tapinoma sessile, whose pleasant blue-cheese odor lends it the name “odorous house ant”. Tapinoma sessile is found nearly everywhere in North America. I’ve seen it in alpine meadows near Lake Tahoe, in parking lots in rural Missouri, in desert canyons in Arizona, and along sidewalks in suburban New York. Native meadows and urban jungles alike host populations- it’s perhaps the most consistently present ant in North American ecosystems. 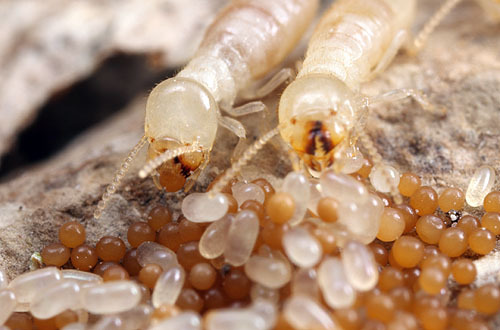 In spite of its ubiquity, little is known about the origins of Tapinoma sessile. There are two likely hypotheses for the source of persistently pesty urban populations, though. 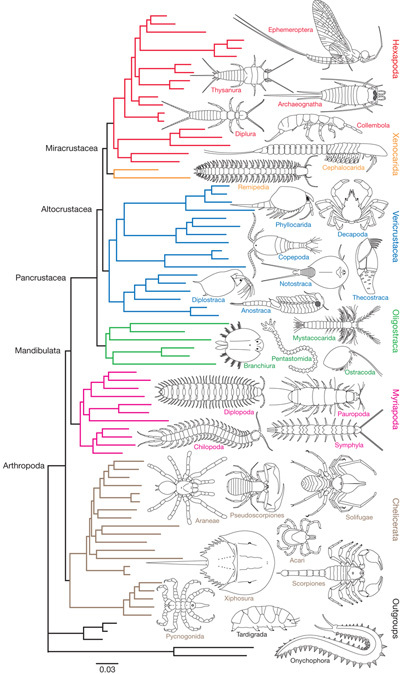 One is that T. sessile is like many invasive ants- a single lineage particularly well-suited to urban conditions could have spread with human commerce across the continent. 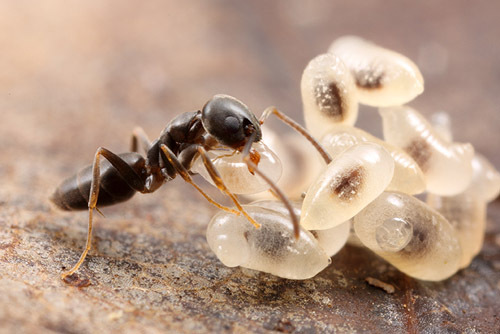 If this is true, genetic analyses should show a single clade of urban ants. The second is that T. sessile is naturally pesty and the pest populations are simply local ants thriving in the human landscape. In this case, urban populations should be intermingled among their local counterparts. Urban T. sessile is overwhelmingly local, insofar as its mtDNA is concerned. The urban populations are not a single pesty lineage tramping around with trade but are natives doing well in the human-modified landscape. Furthermore, the authors found that the colony structure of urban and rural populations were similar. 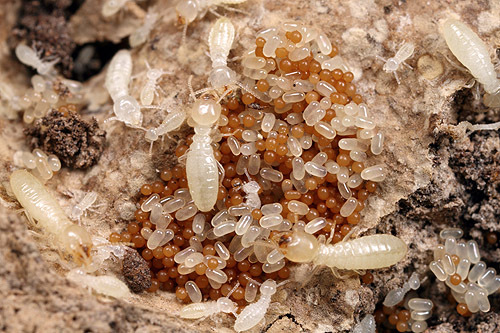 So the pest colonies may not actually be behaving differently than their rural counterparts. They just live in places where people take notice. Like porch roofs, for instance. One caveat, though (and there’s always a caveat!). 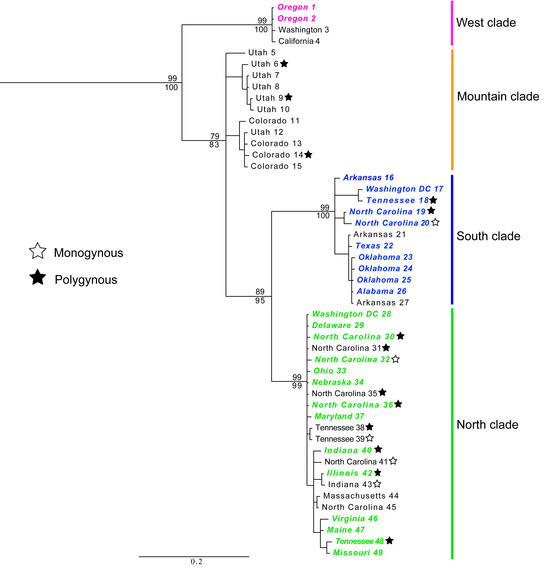 This study looked at a single genetic locus, and it’s possible that the phylogenetic pattern seen here is a result of repeated introgression of local mitochondria into invasive pest lineages as a result of interbreeding. I don’t think it likely, though, considering the persistence of the pattern.